For example, the company has invested in robotics to enhance its online grocery pickup service. Customers appreciate significant benefits from these robotic carts which quickly gather and retrieve their online orders. Walmart also has plans to roll out autonomous vehicles for home deliveries. Additionally, the company uses VR headsets to train store associates to improve their customer service levels. One VR scenario has employees practicing in a “Black Friday” setting, where stores are overwhelmed with customers; this technology supports and educates staff in their ability to identify issues that may arise and how to overcome them ahead of time. Arguably, Walmart's ability to embrace these types of innovation has been what has kept the company relevant and competitive throughout the years. Walmart began modestly, opening its first store in 1962 in Rodgers, Arkansas. However, the company grew at an impressive rate, and 276 stores were operating across the country by the start of the 1980s. By 2018, Walmart was achieving revenues of $500 billion, which is higher than the GDP of Belgium! Yahoo Finance recently conducted a study to identify the locations of more than 4,700 Walmart stores in the U.S. and Puerto Rico. 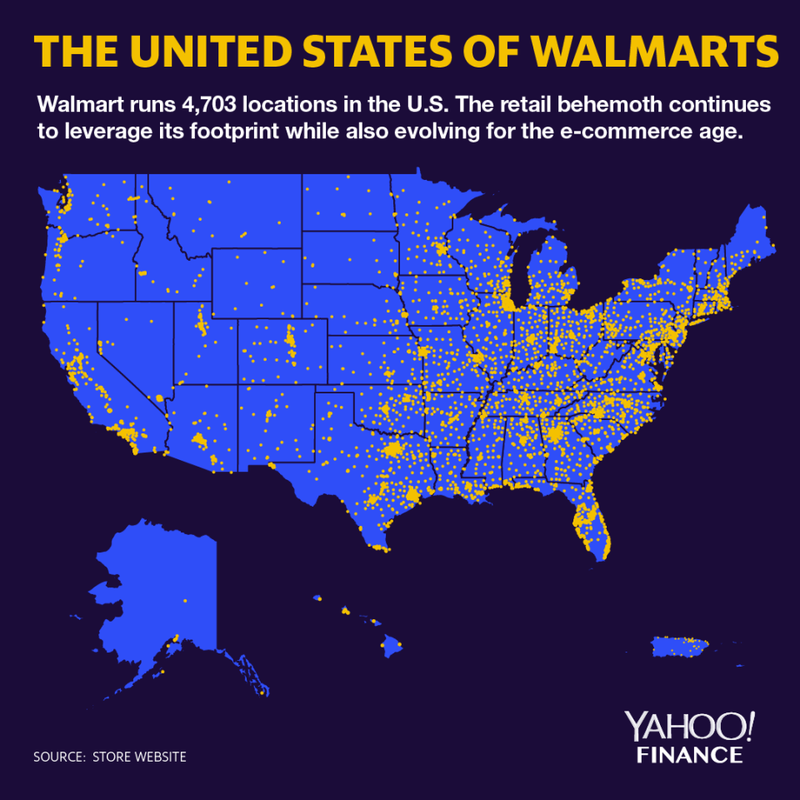 The research revealed that the retailer rules the U.S. thanks to a ubiquitous presence across the country, with most Americans living within just 15 miles of a Walmart store. The diagram below illustrates the distribution of Walmart stores across the entire country. As you can see, the locations are just about everywhere! Walmart will be attending the RILA Retail Supply Chain Conference between Feb 24 to 27, one of the largest retail supply chain conferences in the world. Gravity Supply Chain Solutions will also be at RILA, and located at booth 1335. If you’re at the show, pop over to our booth, and let’s talk about innovation in the retail supply chain industry, or any other relevant and trending topics you'd be keen to discuss! If you’re a retailer and want to compete with successful brands like Walmart, your supply chain needs to be synchronized to ensure that all parts of the chain run seamlessly together, and do not bottleneck one another. Download our latest whitepaper to understand how to achieve supply chain synchronization. Gravity Supply Chain Solutions' founders have many years of experience within the supply chain management industry, but not within a startup environment. With this in mind, they rightfully identified one of their main priorities was to employ someone with the relevant industry experience who could shepherd the company through not only the initial launch phase but into a healthy and prosperous future too. 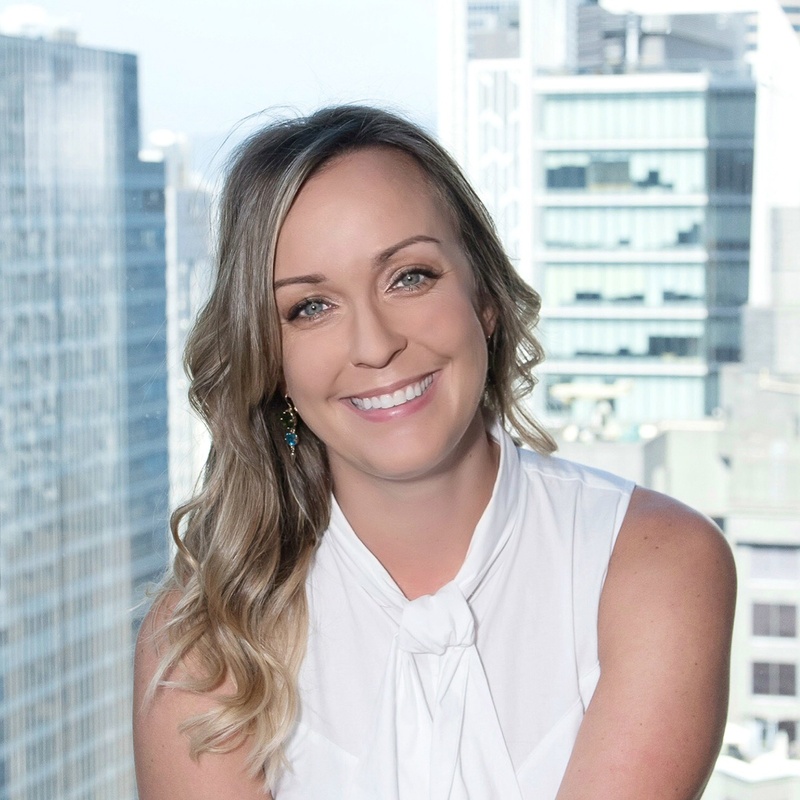 Joining Gravity in May 2015 as its Head of Marketing & Growth, Stephanie Johnson brings a unique combination of sales and marketing savvy, first-hand familiarity with sourcing, developing and bringing products to market, and a wealth of experience in building startups into global success stories. With over a decade of experience in sales and marketing for consumer goods companies, she also possesses extensive experience in the management of vendor relationships covering a broad spectrum from e-commerce platforms to suppliers, logistics providers, and distributors, covering the full design to sales process. Able to establish new sales channels, and build business systems and infrastructure to meet new account business requirements, Stephanie also holds an impressive and proven record of winning new business to drive growth and pave the way for the creation of future global distribution channels. Having worked with Gravity’s primary target customers – consumer products brands and retailers – she understands the operational and sales challenges they face, along with the need for businesses to digitize outdated manual systems to increase overall efficiency and provide the all-important seamless and great customer experience. Passionate about her role, she actively leads the effort to get the word out about how Gravity’s software can help solve the many challenges buyers, product developers and supply chain managers face, and strives to ensure that both the company and its personalized solutions continue to evolve at the necessary pace to meet the customers’ ever-evolving needs.